Kathleen Jones has done a truly remarkable job with this much-anticipated biography of Norman Nicholson. It is a completely absorbing and informative read. Mind, at one stage, about two-thirds of the way through, I began to feel that uneasy sensation one sometimes feels on meeting a long-time idol face to face and realising they are not exactly the person one fondly imagined. In fact, this feeling first surfaced while listening to Kathleen's talk at Carlisle Library in January when she referred to Norman as having continued to live as an invalid even when he didn't have to. My heart sank at that, and of course there is much more detail about that in the book. In the latter stages of the book we learn of some other aspects of his character which might not have played well in Poetry Review, but this is the value of the book. It is not a hagiography, it is a real portrait of the man, exploring both strengths and weaknesses, and from that we can make up our own minds as to how we regard him. I find that I have more respect for Norman than before, because only now do I truly realise what he had to contend with throughout his life. I knew about his tuberculosis but didn't realise quite how much it affected him through the later decades - the protection of his health, the sheer challenge of speaking and indeed breathing at times, and the extent to which it impacted on his writing. The influence of Rose, his stepmother, is also something that the book has brought in the open, another major factor in his life and in his remaining in Millom. His inability to travel freely until his wife Yvonne bought her car is another significant fact, something which in today's era of easy travel may come as a surprise to many. This biography also delivers plenty of facts and analysis of Nicholson's novels and plays, elements of his output which have been generally overlooked. The environmental issues which Norman tackled in the plays are particularly interesting as well as emphasising his continuing relevance. The amount of reading and research the author has done is truly breathtaking, and something for which all NN enthusiasts will be grateful for many years to come. But more than that, this is a book which strikes a blow for Nicholson's reputation as a poet of significance, and makes those who would consign him to the edgelands of English literature appear mean and self-serving, lacking the generosity of spirit which flows through Norman's poetry despite all the obstacles placed in his way. 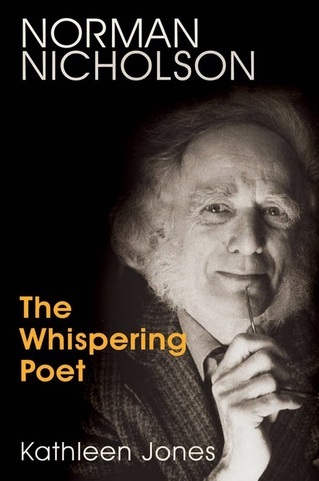 The poet may have whispered but his biography shouts out loud!